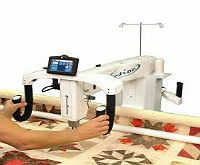 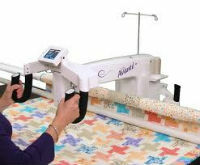 Color LCD control screens and built-in stitch counters As the newest addition to the Handi Quilter long arm family, this machine combines integrated technology and engineering with all of the functions quilters demand. 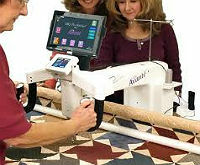 Comes with a precision stitch-regulated system. 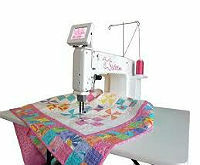 Designed by a Quilter, for Quilters™, the Fusion helps you create your quilting vision with personal lighting options, precision stitching and a full 20 inches of quilting space.